The Barbary Fig Oil deeply restores the hair fibres. The luxurious formula, combining fortifying micro-Keratin and Barbary Fig Oil is for very dry and brittle hair its micro-emulsion formula combines micronized keratin and prickly pear oil nourishes smoothes and repairs the hair with each shampoo. The hair is visbly revitalised and ft perfectly fortified. The best kept secret in Amazonia, South America.s anti-free radical, antioxidant and moisturizing properties, the cosmetic industry uses this seed oil in anti-aging products. It is also considered one of the best conditioners for damaged and dehydrated hair. 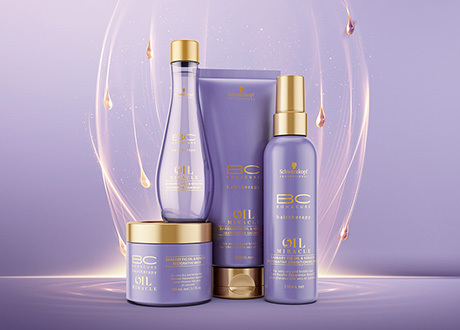 Due to it The indulging care regime for superior nourishment, opulent shine and boosting unprecented colour brilliance and protection without overburdening and suited to all hair types. 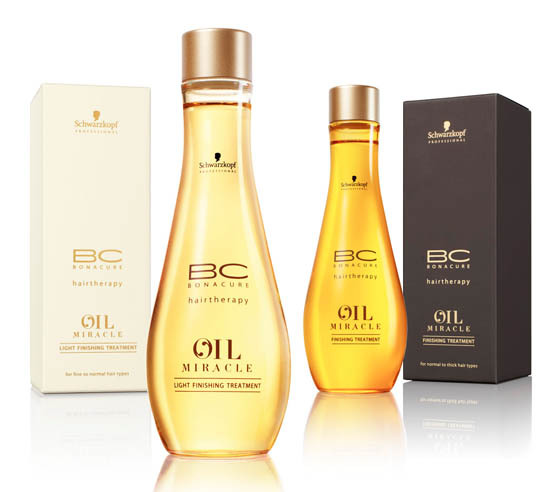 Oil Miracle Brazil Nut Oil helps ensure colour vibrancy with a nourishing blend of minerals and Omega 3&9 rich in Vitamin A and E. It helps to fill porous gaps in the hair and increases suppleness. Infused with Argan Powder and Brazilnut Pulp Treatment removes impurities from hair to leave it refreshed and tangibly smooth. It helps to intensely nourish the hair whilst leaving it perfectly sealed and shiny. Argan Oil is a plant oil produced from the Argan tree, native to Morocco. For generations natives of The Argan Forest in Morocco have pressed the nut to extract this precious oil to use as dietary supplement as it is incredibly nutritious and also for healing wounds, rash relief and amazing for skin and hair. Argan oil is rich in Vitamin A and E, however, Argan Oil is also packed with Anti Oxidants and Omega 6 Fatty Acids. These slow growing trees are so highly respected, the Argan Forest was declared a Biosphere Reserve by UNESCO in 1998. Fiberplex technology is a rebonding system that has 4 stages, including maintenance. Released in combination with any chemical treatment, the high performing Fiber Bond 4.5 Technology interlinks with the hair fibers to enforce and seal strong structural bonds and minimise hair breakage during the lightening, lifting and colouring processes. Thanks to the FiberBond 4.5 Technology the system creates new bonds and balances the ph level to lock in colour pigments and prevent damage, this also ensures superior hair quality, long lasting colour, brilliance and shine, and also up 94% less breakage. Our team of dedicated staff are well equipped with knowledge on the products we recommend so you can be sure you’ll be given the best prescriptive advice and an exclusive list of the best hair care products available. HAIR is one of the first things we notice about someone when we meet for the first time-no; every time we see someone we notice their hair! Fact! Most especially, this is true among women.. We all want beautiful, healthy gorgeous show stopping hair; this is only true for a mere few of us. Beautiful hair always leaves a good impression which is why caring for our hair using professional products opposed to shop bought is vitally important and not just a sales ploy in the salon. We ARE the experts, here to give unrivalled advice for your needs, we use only the very best at Maria Grazia. Good hair care plays an important part in having healthy hair and helps avoid extensive damage. It is important to use shampoo designed for your hair type, prescribed for you as everyone needs advice for using the correct products. Celebrity endorsed shampoos just don’t cut it I’m afraid! They are not gentle as they appear and can be harsh on your expensive new hair colour.. If you’ve invested the pennies inton your salon service, take home hair care should be a given.